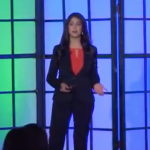 Dr. Irum Tahir talks about our subconscious minds and the effects that they have on our lives. To learn how to increase your awareness of subconscious connection. Dr. Irum Tahir is an international speaker, entrepreneur, and coach. Upon graduation, Dr. Tahir successfully created High Point Chiropractic Wellness, a family based wellness practice that runs independently and now coaches Chiropractors to have more freedom in practice while serving more people. She has worked with public and private organizations locally and globally to improve health conditions through Chiropractic.